PEX Manifolds will get your water where it needs to go. 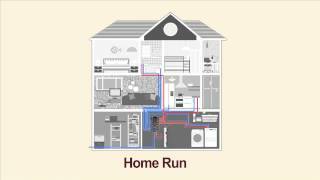 A manifold is the hub of a plumbing system that distributes supply water to distribution lines throughout a home. PEX manifolds are easy to install and are growing in popularity throughout the United States. There are a variety of PEX manifold systems available. Each manifold system has a variety of adapters, end caps, and fitting assemblies that can be purchased to customize the manifold to various applications. Viega MANABLOCs are available in compression, crimp, and PEX press styles. Each of these utilizes 1/2", 3/8", or a combination of both for port outlets. Each MANABLOC is pre-assembled and includes port connections, drill templates, and a faceplate. 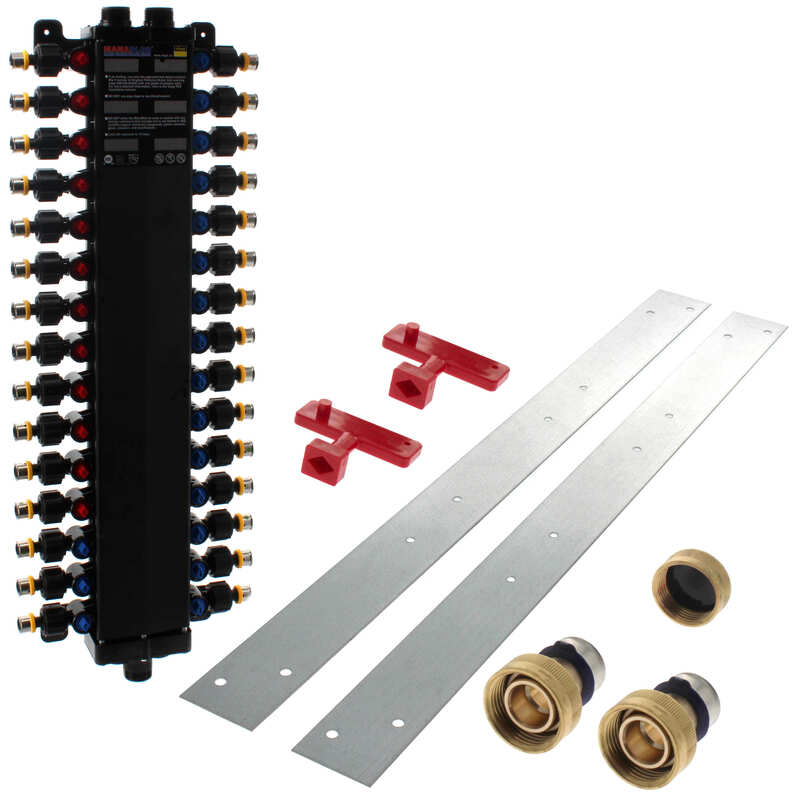 However, mounting brackets, supply adapters, and caps must be purchased separately. Standard setup requires two supply adapters (one for hot and one for cold) and one supply end cap. To avoid purchasing an expensive PEX tool, a compression style MANABLOC is recommended. Uponor (Wirsbo) ProPEX manifolds require the Milwaukee ProPEX expander tool and ProPEX rings for securing connections to PEX tubing. ProPEX manifolds are available in copper and engineered plastic (EP) configurations. EP manifolds are an economic alternative to copper manifolds but are just as effective. These manifolds are available from 3 to 12 outlets and in valved and valveless models. 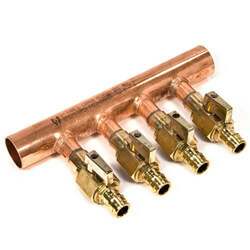 ProPEX copper manifolds feature a 1" copper supply constructed of type "L" copper. 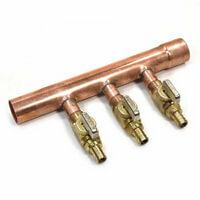 These copper manifolds are available with or without stop valves. ProPEX stop valves allow the ability to isolate individual loops without shutting down the entire system. The engineered plastic (EP) heating manifold by Uponor (Wirsbo) is similar to its brass counterpart. EP radiant heat manifolds are constructed of high-performance thermoplastic. It is suitable for use under conditions of high impact, heat, and moisture. They are resistant to corrosion, pitting, scaling, high chlorine levels and ultraviolet light. 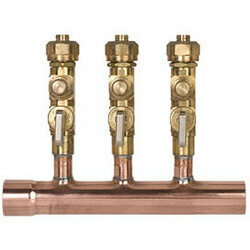 EP radiant heat manifolds are an economic alternative to expensive copper, brass and stainless steel manifolds. 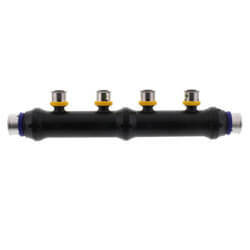 Manifolds are traditionally used in PEX systems, but SharkBite manifolds allow easy incorporation into copper or CPVC systems. These manifolds contain a 1" trunk with 3/4" tube inlets and outlets. Loop ports are equipped with 1/2" SharkBite couplings to connect to 1/2" distribution lines. SharkBite manifolds provide an alternative to purchasing an expensive PEX tool. 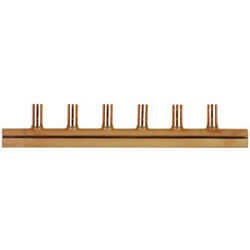 Copper crimp manifolds feature a 1" copper supply constructed of type "L" copper. Crimp manifolds require the crimp tool and crimp rings for securing connections to PEX tubing. These manifolds are available in a valve or valveless configurations. Valved models contain valves at each loop, which provides the ability to isolate different lines. This is especially useful when a leak or necessary repair is required. Crimp ball valves can be manually added to valveless manifolds if desired. 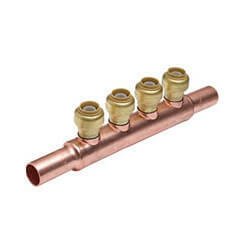 Viega PEX Press manifolds require a press tool to connect to copper connections. ProPress manifolds are compatible with type K, L and M copper tubing only. ProPress copper manifold valves can be connected to loop outlets to create a valved manifold.